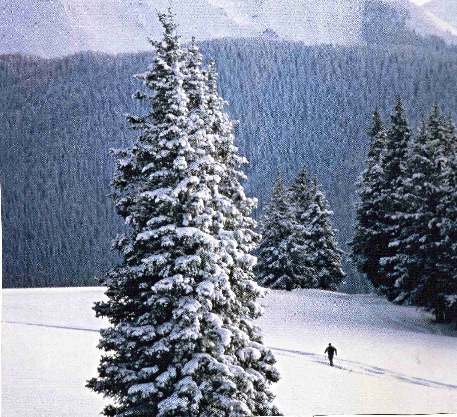 There's no debate among skiiers about whether Global Warming is real or not. We know it's real. It's been sneaking up on us for two decades. Once upon a time, not so very long ago, we began skiing in November and finished in April. The big problem was whether we could fight through the ice and snow to get to the slopes. Now, we're lucky if we can start skiing by New Year's Day, and the last two weeks of February are dubious. Every third or fourth year we make it into March, but some years mid February sees Ohio Valley slopes closing. Even when resorts are open, some of the trails are closed for lack of snow. We've also lost several of the smaller, regional "day slopes," the ones without the deep pockets of corporate ownership. Earning enough in a five month season to pay the bills for the entire year was tough, but doing it in a two month season is impossible. The final blow is the snow. In the Ohio Valley we've been skiing for a decade on artificial snow. Recently this has become more common in New England and the Great Lakes. Now it's even seen at the big Rocky Mountain resorts. 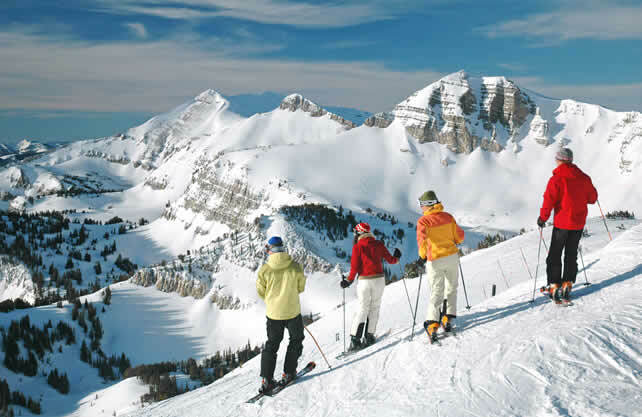 But skiing is still popular, even in Kentucky and the Ohio Valley. Within reach of a Friday night drive are 10 facilities in six states, enough for a fine season. 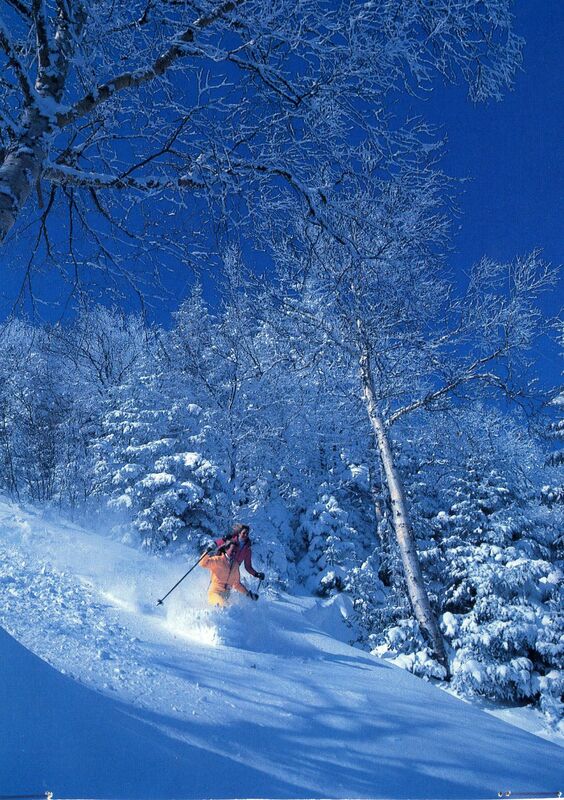 We are nine hours up I-75 rom the Petoskey (Mich.) Triad of Boyne Mountain, Boyne Highlands and Nubs Knob, certainly the best skiing complex between Vermont and Colorado. We can squeeze in a four day trip to Petoskey over Christmas Break if the weather is cold enough for snow making, which in most years it is. We are two days by Amtrak from Winter Park and Whitefish Mountain, two days by highway from New England or Tremblant (Canada), and one day by air from any of the other Rocky Mountain resorts. Skiing only on weekends and a few 4-7 day trips, we do have a problem with conditioning. But we've learned that roller blading, bicycling and good gym workouts can build and maintain the needed muscles. Years of experimenting have revealed that a good rowing machine, stepper and Nautilus machine used daily works ski muscles very well. It may be that our year round regimen of hiking, backpacking, canoeing, bicyclking and surfing keep our muscles in good enough general shape that six weeks of concentrated ski workouts in November and December is sufficient. We notice that when we're coming down the hourlong trails at the Rocky Mountain resorts (like from Vasquez Cirque to Zephyr Lodge at Winterplace), we're skiing just as fast and arriving at the bottom just as energetic as anyone else. None of us suffer any more injuries and our sore muscles can be revived with a night in the hot tub. We have, however, developed a few opinions about equipment. We no longer use ski goggles. They're expensive. We find that a good pair of wraparound sunglasses, such as Oakleys, work just as well and can be used for all our warm weather activfities as well. We like hiking sticks better than ski poles, because they have more features and can be used for hiking and backpacking. We think Thorlo backpacking socks are warmer and more comfortable than skiing socks. We think silk long underwear is warmer than the various special weaves. 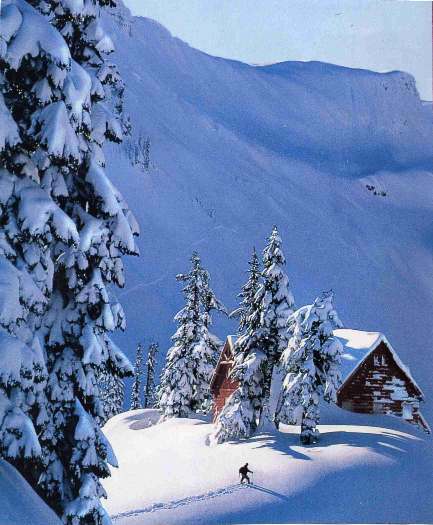 Skiing is surely the most expensive sport the average person might try. (Yes, stock car racing, hot air ballooning and motorcycling cost more, but the average person doesn't pursue those.) But we've learned a few tricks. If you're going back to the same resort multiple times, a season pass is a huge savings. 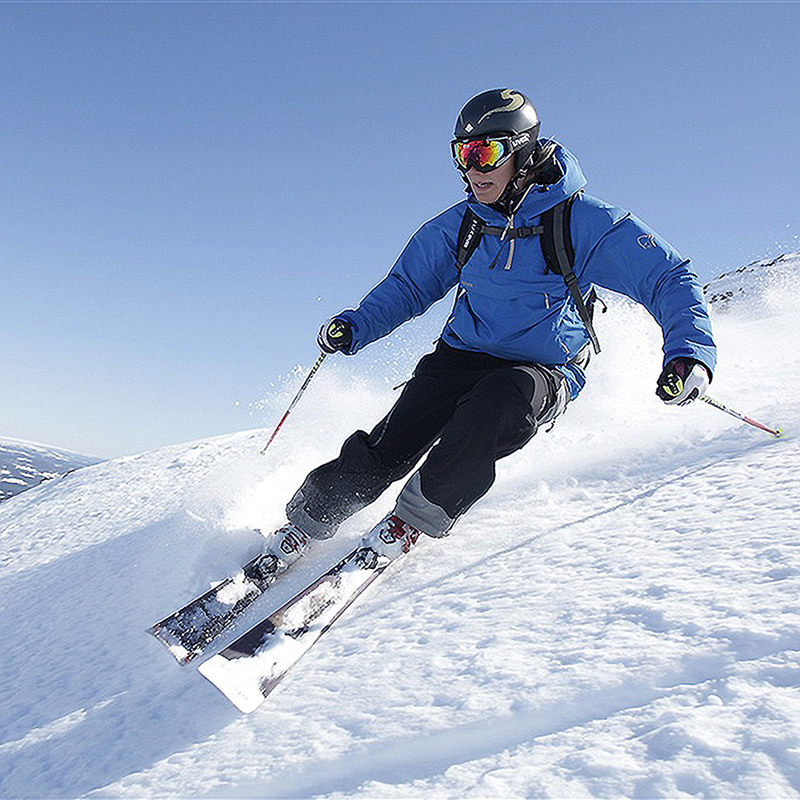 At the end of each season ski resorts sell their rental equipment. You can obtain very good equipment for incredible savings. Weekday rates are usually much lower than weekends. Avoid the holiday weekends, especially Martin Luther King and Presidents Day. For major resort trips, go during their "shoulder season," that is, the first two or last two weeks they're open. Rates are usually less than half the regular season rates. If you stay just a little distance from the resort, you can cut your lodging bill in half or more. Make reservations in September. If you rent a van or a car for these trips, go to the rental agency several weeks before your first trip and negotiate a seasonlong rate for a significant savings. Do not rent equipment from the resorts. If poaaible, rent it back home before you leave. 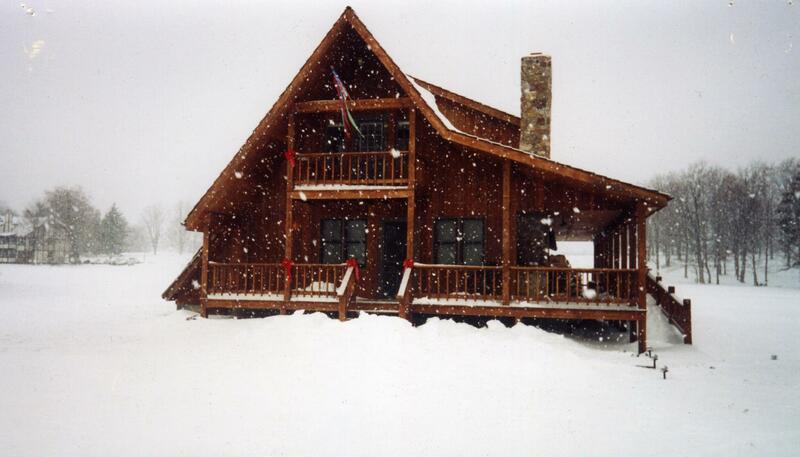 This will also allow you to rent it for the entire season, which saves a fortune. Even if there's no local sports shop renting equipment near your home, if you have a ski resort an hour or so away, rent from there for the season. A tank of gas before and after the season is a lot cheaper than exorbitant rental fees every weekend. Plus, you void the sometimes long lines. A final way you can save money is by staying out of the lodge snack bars. It's convenient, but you pay a high price for that convenience. A hearty breakfast and dinner should get you through the day. Pack a lunch or go to your vehicle and open the cooler. You can use your backpacking stove to heat coffee, te a, hot chocolate or soup. And, again, in the process of saving money you'll avoid long lines. Comment or Question ?? Join us at The Forum.